The ancient legend, the Nian monster who traditionally awakens every year at the start of Lunar New Year, is on the loose in Shanghai. Can Xingling outwit him before he wreaks havoc and consumes the entire city with his ravenous appetite? Rich with folklore, tradition and festivity, The Nian Monster is a stunning introduction for young ones learning about Chinese New Year. We loved reading tidbits about Chinese food, culture and language in the author’s note, like how sticky rice flour is used not only to make desserts, but was once used for building the Great Wall! A fantastic addition to any library and a timely read for the celebration of Lunar New Year this Saturday. 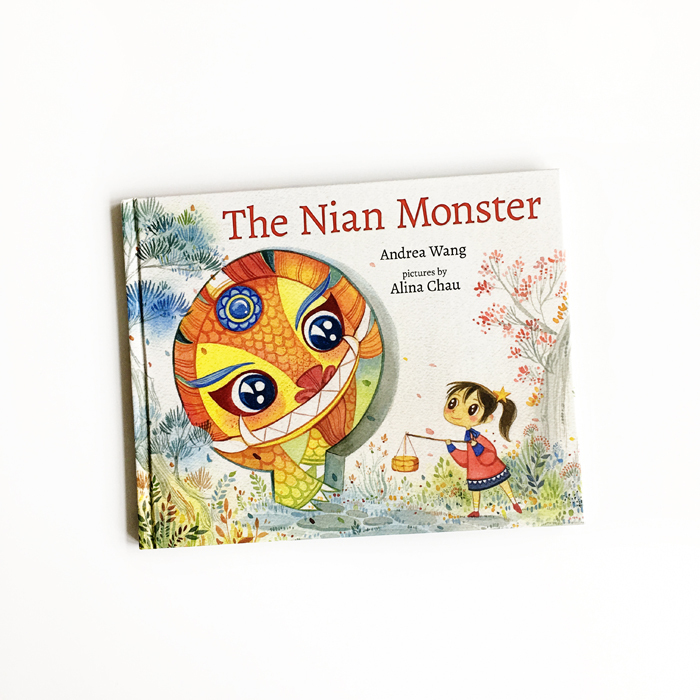 The Nian Monster was written by Andrea Wang, illustrated by Alina Chau and published by Albert Whitman & Company. Learn more about her writing and the inspiration for The Nian Monster in this Q&A post.